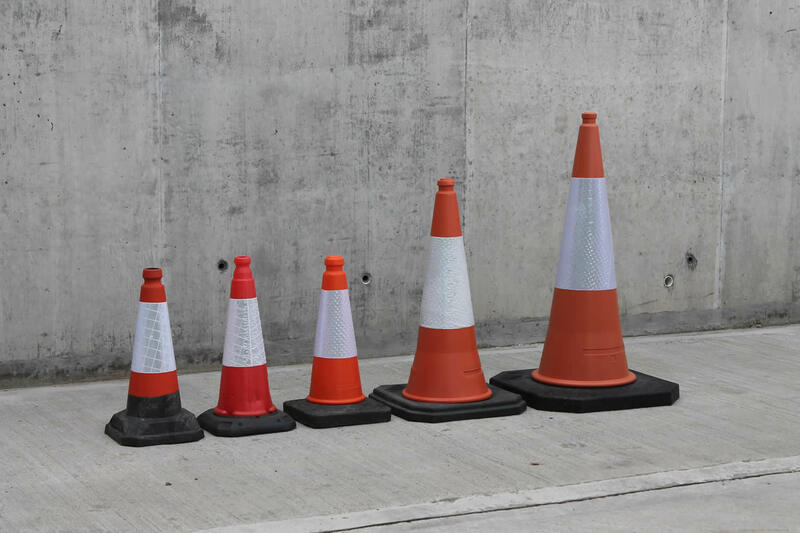 Traffic cones have been on the UK road network for around 60 years now, and since their introduction they have been refined and improved upon almost continuously. Early cones were solid free from reflective banding. Now there are strict regulations regarding what size and style of traffic cone can be used where and when. As traffic safety cones are actually considered to be a road sign they are covered under strict guidelines as to how they should be deployed to ensure proper safety. Details of how best to deploy them can be found in the “red book” on our regulations page. The standard orange traffic cone is used all over British roads and is used to delineate traffic. It comes in three different sizes as well as single and twin part construction. Details of the sizes and construction can be found below. No parking cones are available in two types, triangular road legal and round for private road use. All of them are the same height and two part construction with a black base and yellow upper. 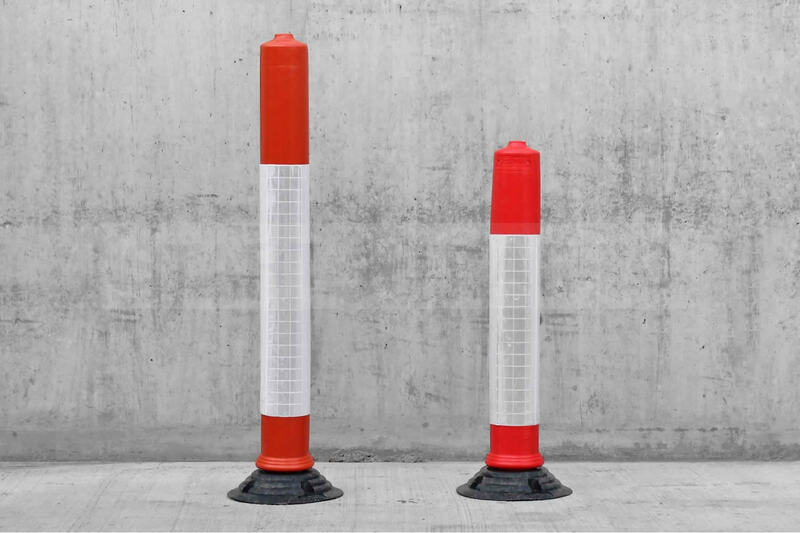 Coloured traffic cones serve a variety of purposes such as marking overhead cables, underground utilities and entrance and exit routes to a site. They are also commonly used on airfields. 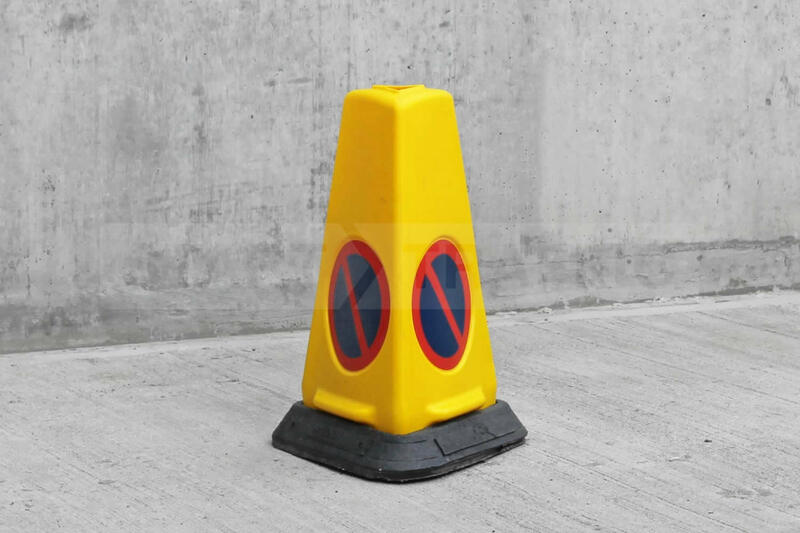 If you want custom road cones to suit your company's branding, or even for a special event such as a wedding then a paint your own would be ideal. You can then paint it any colour you wish. These are for off-road use only. Delineator posts are commonly used for separation of parking areas from dual carriageways, they use the same reflective material that traffic cones use. They are designed to bend and pop back into shape should they make contact with a vehicle. 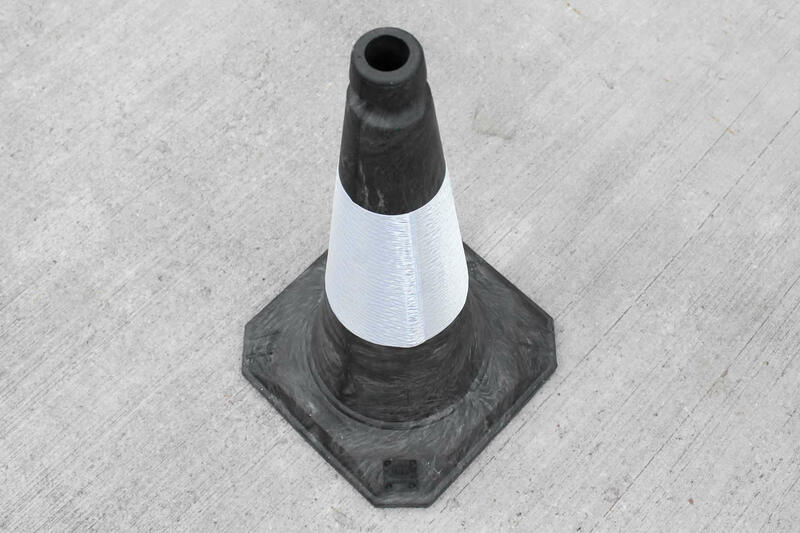 Replacement reflective sleeves and tape can either rejuvenate older cones or turn them into a continuous barrier for longer runs for traffic management. 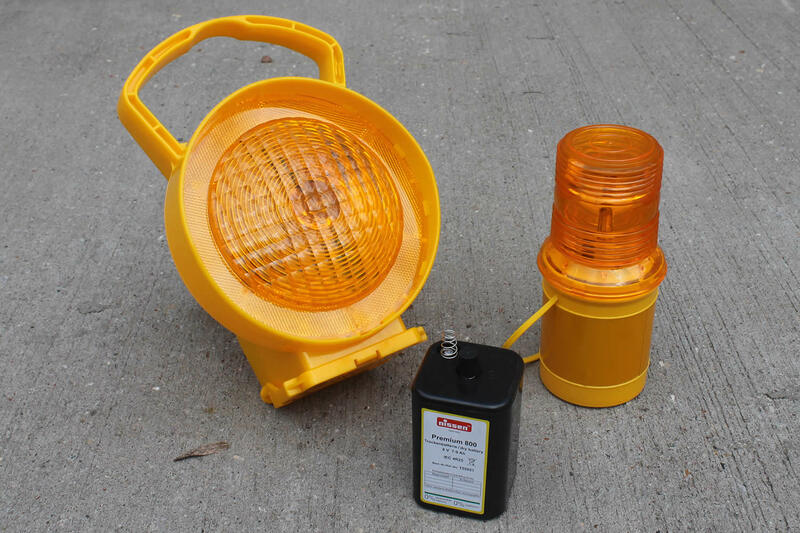 Hazard Lamps are needed to ensure that traffic cones are easily seen in the dark or in poor weather conditions. We have a few types to choose from depending on your requirements. Verge markers are essential for marking out bends in roads, driveway entrances and unexpected changes in the road direction, especially in poorly lit rural areas. 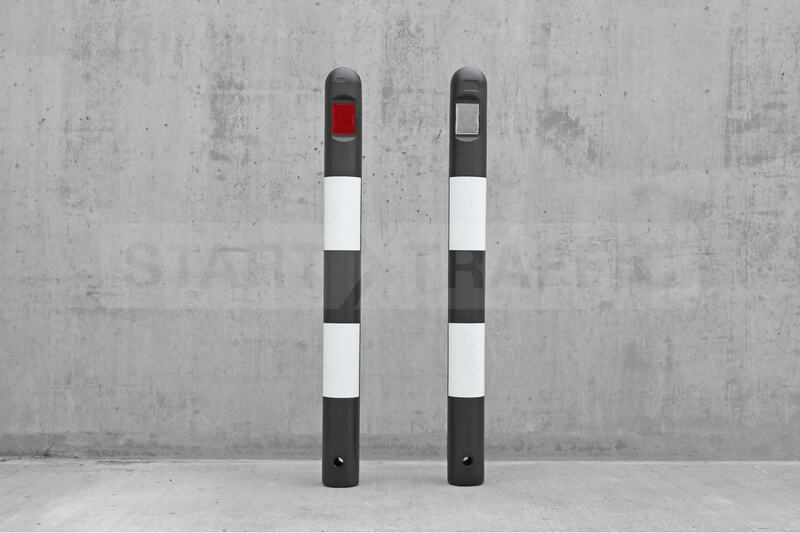 We offer two key types of verge marker with a flexible and rigid design available. 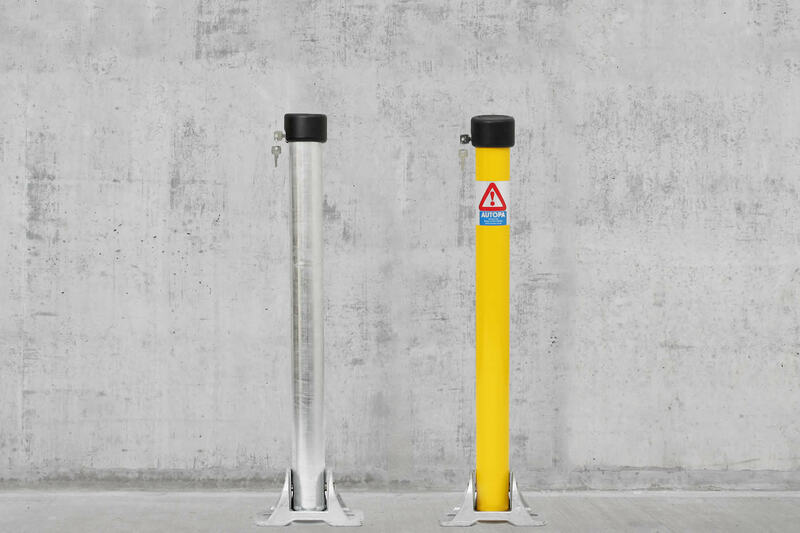 For security and preventing unauthorised parking you cannot beat a folding post with a lock. The lock may be either integral or a separate padlock, but the end result is the same. These are ideal for preventing cars entering (or leaving) your driveway without permission. 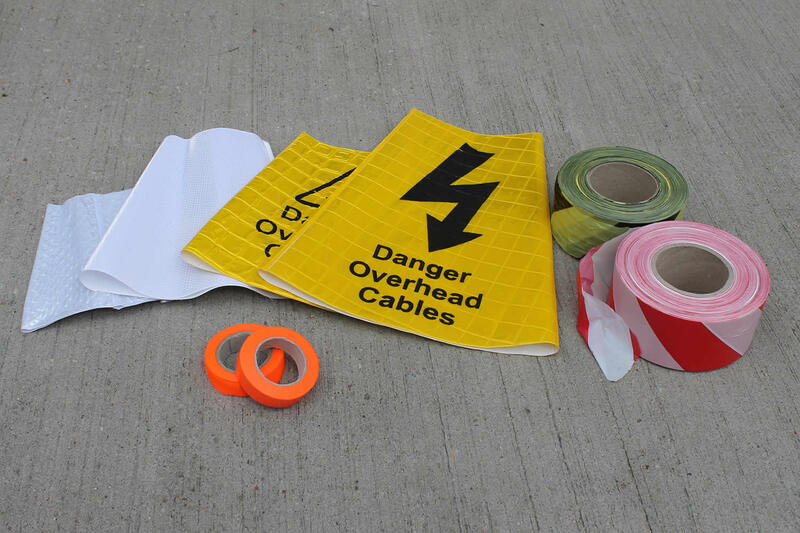 These hazard markers are used for marking out potential hazards on construction sites, such as overhead or underground cables. They are essential when carrying out any works near power lines or where other utilities may cause a hazard. We test and examine every product we sell before taking it into stock, if it is not up to the grade we will not sell it. 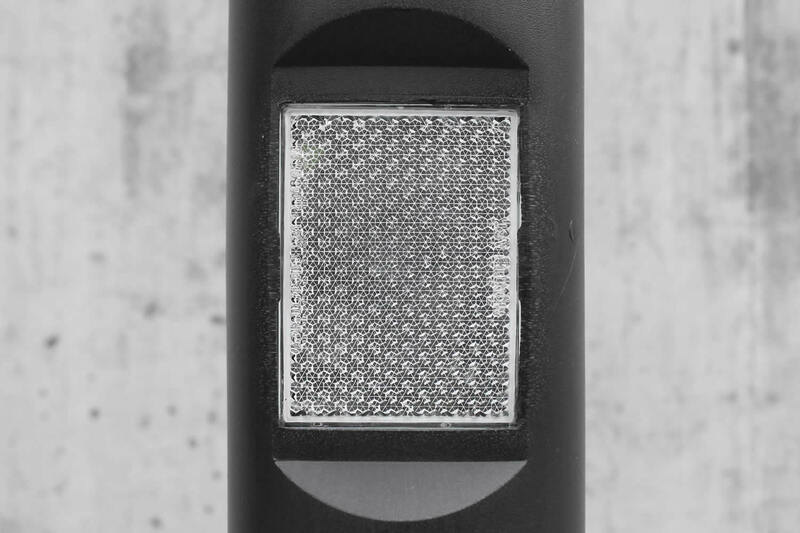 All steel security posts are sold in a galvanised finish so they will last longer and won't go rusty. 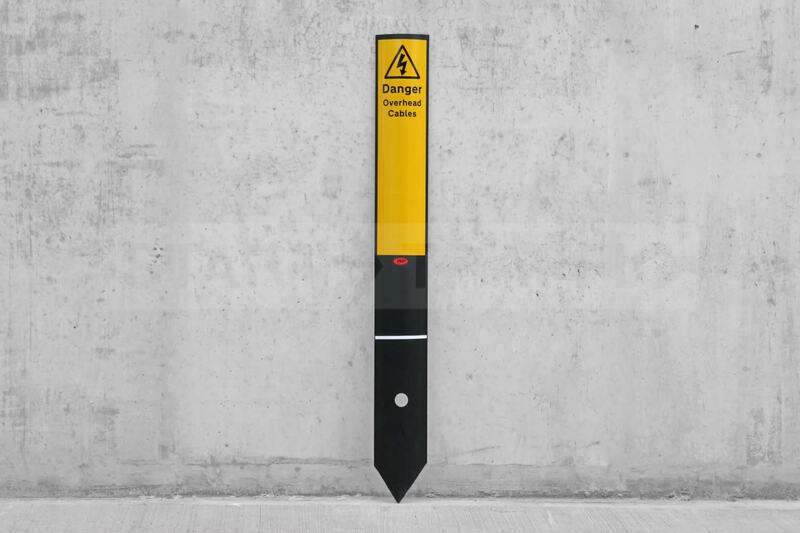 Our delineator markers use the same reflective material as a traffic cone and therefore offer exceptional visibility at night and in poor lighting conditions. Our verge markers are either rigid or highly flexible (depending on what you need) but either way they have been tested time and time again and can stand up to use in the application they are designed for. Need assistance or require bulk quantities? We carry all our cones and accessories in stock ready for fast dispatch and even same day delivery. If you are looking to purchase a bulk quantity, then please phone our sales team on 0800 9788 920.